We visited several beautiful tropical islands during our round the world trip, and the one we found almost impossible to leave was Perhentian in Malaysia. We stayed there two weeks, and would have stayed even more! The Perhentian Islands (situated in the Northeast corner of the Peninsular Malaysia) consist of two islands: Besar (big) and Kecil (small). The first is more for the local package tourism, whereas the second is more suited for backpackers. 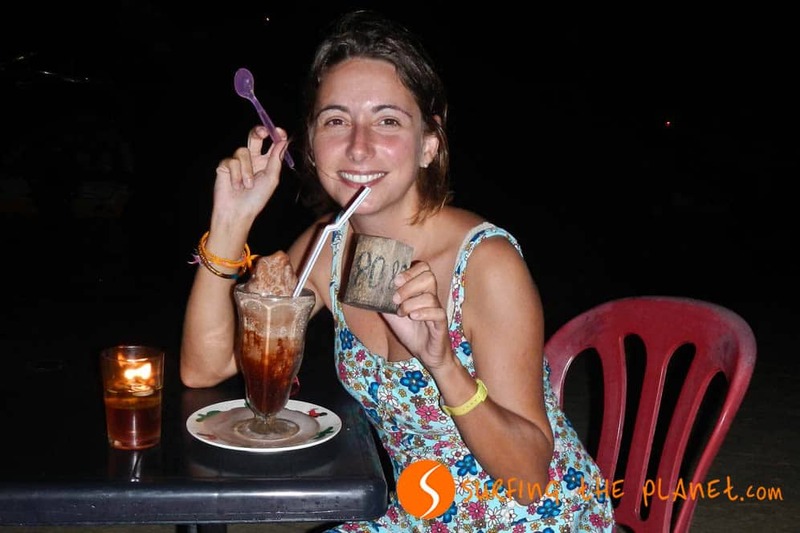 A beautiful island that has everything to offer, an island that has a calm side with beaches where you can be alone, but at the same there are beaches where you can meet people, have a nice dinner and even party if you want to. As we arrived even before high season, we could get a cheap bungalow just next to the beach. There are two main beaches on the island, Long Bay and Coral Bay, we stayed in the second one, which has a more relaxed vibe. We had a terrace, where we spent hours relaxing and just staring at the sea, drinking our favorite mango lassi prepared in the restaurant next door. Many times we went to see the sunset that was wonderful from our beach. One day we went on a snorkeling excursion, and it was simply awesome. 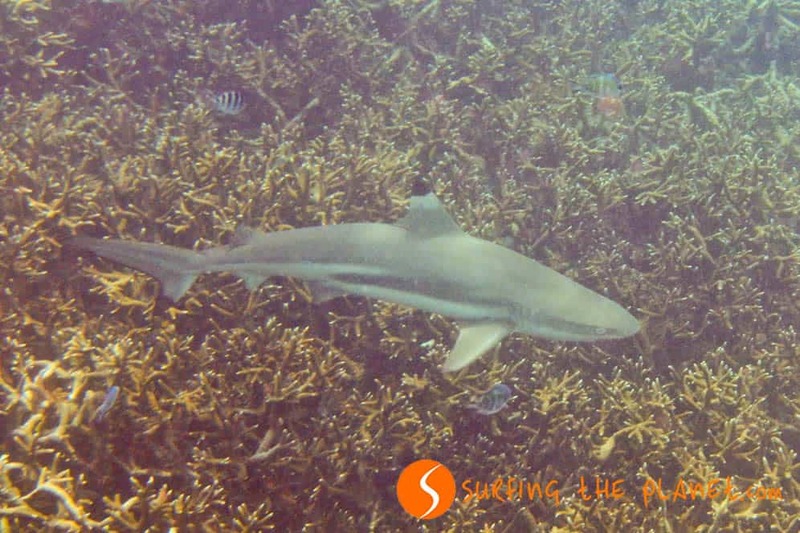 In the first stop we saw several reef sharks from really close distance. We had seen them before in other places, but here we met 6 of them and had time to check them out calmly. You might ask how we were calm and not frightened of them. We weren’t afraid as we had always been told that they are harmless, but still we were watching them with lots of respect. 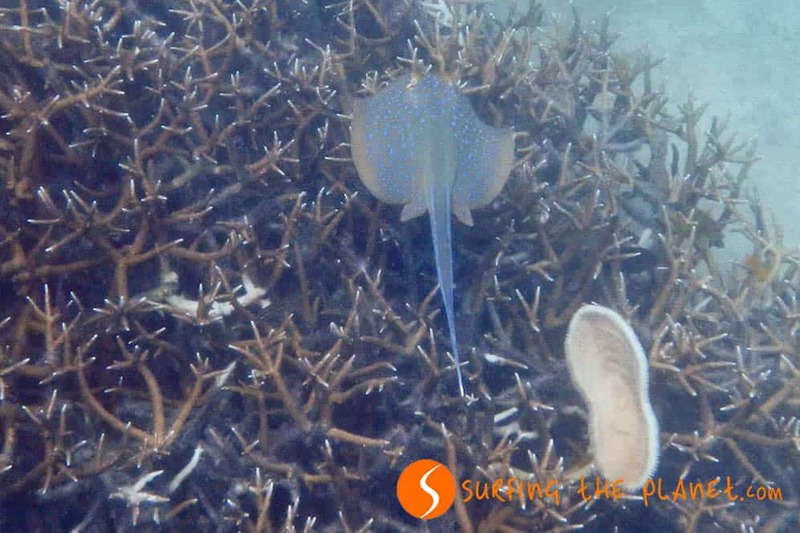 We visited the Coral Garden, where the reef was precious, and we saw a bluespotted stingray amongst other colorful fish. Turtle Bay is where the marine turtles stay around the island, and we saw some really huge ones. We swam with one of them together for a while, and enjoyed the company of this gentle animal. We had a stop in the fishing village for lunch, and after that we stopped in two more places: the lighthouse, where there was a nice reef, too and in a small beach, where we saw some baby sharks. Among many cool things on the island, one of our favorites was the fish barbecue we had almost every night. 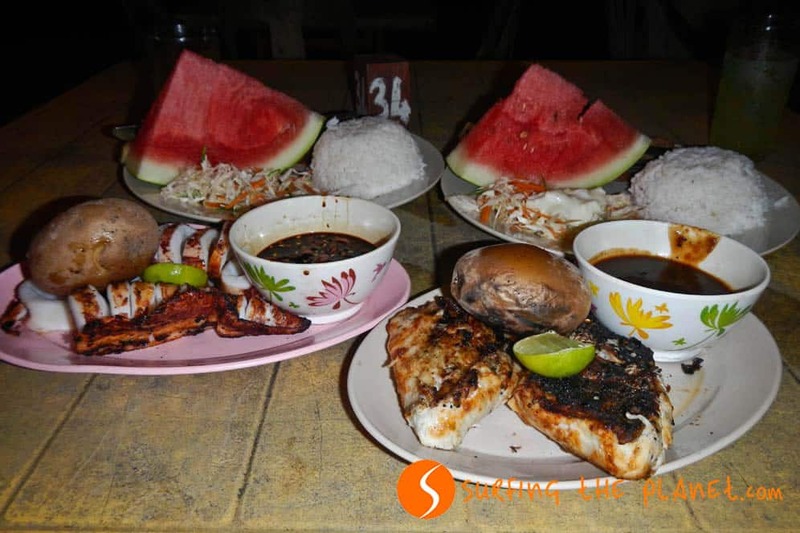 Every evening the restaurants on the beach offered fish barbecue prepared from the fish they caught the same day. For less than $5 they gave us a large piece of the fish we chose with rice, potatoes, salad, fruit, cake and a welcome drink, all included. All this on the beach, maybe a couple of meters from the sea, absolutely amazing! The squid and the barracuda were our top choices during these days. The place was perfect for celebrating Rachele’s birthday! Now, you would definitely ask us: and what about the beaches? When you go to a tropical island, this is what matters the most, isn’t it? We can tell you that in Perhentian Kecil there are several fascinating beaches to be found. You can check all of them out in our post with the best beaches in Perhentian. Do you want more information about the island? Here’s a great backpacker’s guide to Perhetian. 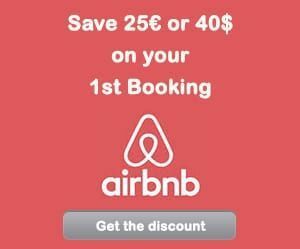 – ZZZ… BOOK YOUR HOTEL IN MALAYSIA – find the best hotel for you. – BRUM BRUM… RENT A CHEAP CAR FOR YOUR TRIP IN MALAYSIA – find the best car for you. Simply gorgeous. You look so healthy and happen — the hallmarks of a good get-away! Thanks Leslie for your comment! Great pics! I wouldn’t want to leave there either! Aww! Just look at the beautiful ray! The place looks idyllic ! Thanks Sophie! We are glad that you liked it!! Thanks Susan! Actually it is a personal decision to leave everything behind and go travelling. We haven’t regretted doing it! Looks like you are having a wonderful time and making some AMAZING memories. Thanks Nicole for the comment! This looks wonderful, as does the yummy food! Thanks Sophie, and yes the fish was absolutely amazing! Hi Gabor. What a beautiful place (the beaches, the scenery, the food)! You got some great photo shots. I was most excited when you talked about the food (barbecue fish). Thanks for sharing. Geniece, I am glad that you liked the pictures! Yeah, the food was awesome! The island photos look amazing. I went snorkeling on the Great Barrier Reef in the 80s and I’ve never forgotten the experience. Trouble is, you have to return to your normal life afterwards. Hehe. Yes Francene, it is quite difficult to get to back normal life after a long trip like the one we did. Thanks for your comment! Oh wow, this sounds incredible. I didn’t have time to visit the Perhentian islands while I was in Malaysia, but I’d love to go back. 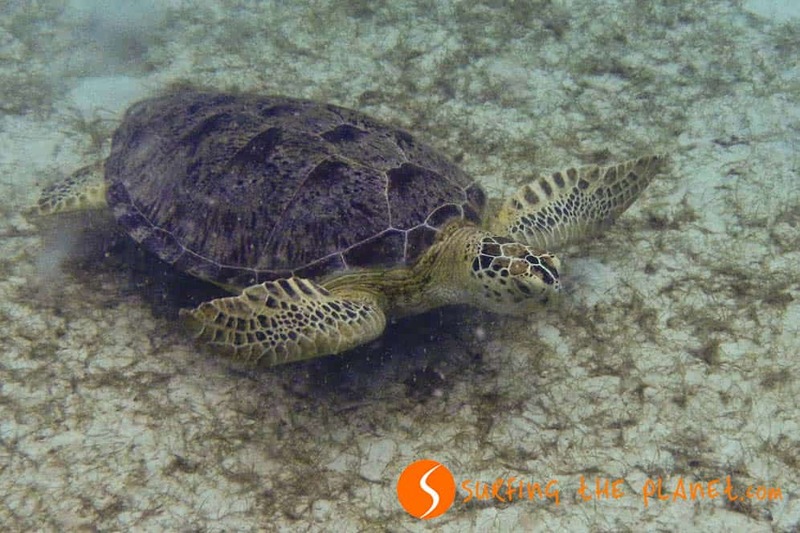 Your photos are great- lovely turtle! Thanks Katie! We are also dreaming about going back to Malaysia, such a wonderful country! Perhentian receives many tourists, but it is still a calm island! Vanessa, great that you felt relaxed from our photos. We hope you can come back for the next post in which we will show the amazing beaches of this lovely island. Looks beautiful, no wonder you didnt want to leave! We are heading to Malaysia mid yeah so we might have to think about adding this in! Wow – gorgeous! The views are amazing and all of the food looks delicious! Thanks very much! The food was really delicious! I envy you! It sound like a lovely trip. I don’t blame you for not wanting to leave this place – the beach, cabin, food and drinks look awesome. And the turtle. Love the turtle. Oh, and the stingray too, and the sharks … I love it all. Good for you. Peace! Stay safe. We are happy that you liked our post! So nice to read enthusiastic comments like this! Thanks! We envy you that you are going there now!!! Come back for our next post in which we will give a guide to the beaches on the island! Loved all the photos and the description! I lived in South East Asia for some time, and have friends now in Malaysia. I recognized Besar and Kecil right away ~ the words, I mean. I loved Indonesia! Would love to go to Malaysia one day. Thanks for sharing your favorite beaches! We also loved Indonesia, probably even more than Malaysia! I am glad that you liked our post! thanks very much for the comment! Reading this was like a lovely mini-vacation, this morning. Just my cup of coffee and some time spent imagining myself there. Beautiful 🙂 I’ll be back for the beaches! Oh I totally get why you wanted to stay there longer. Although I´m not fond of water I would definitely give it a try over there, absolutely stunning! Love the fact that it´s possible to choose a beach with or without people, doesn´t happen often in Asia that you find a beach without people anymore. We planned to stay for 4-5 days, and we stayed there for 2 weeks. 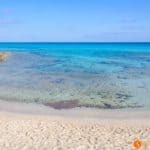 If you come back for the next post with the beaches, you will see the variety of pristine, secluded beaches without people, and we weren’t even there in low-season! A truly magical place, indeed! I love that photo of the sea turtle, so majestic! Yes, we really felt ourselves in paradise on this island! The water there is extremely clear; I love the photos of the ray and shark (ok, the turtle too) and the fish BBQ looks absolutely delicious. Thanks for taking me on a tour of the island(s) with you. Thanks Greg for coming with us to this short tour of the Perhentian islands! What else a person can ask for – a bungalow by the beach, mango lassi in the hand, and the crystal clear sea in front of your eyes. I find that the sea and the fire are two things you can stare at forever and never get bored. The sharks would scare me, though. Beautiful photos of the underwater! Oh, I absolutely agree with you on what you say about the sea and the fire!! Thanks for your comment! That looks like a lot of fun! wow you guys got pretty close to the reef sharks just by snorkeling, there are reef sharks here where I live in Costa Rica but you have to go diving to see them so that’s awesome you guys got so close! Thanks Samantha! Yes, in Perhentian you don’t have to dive to see reef sharks. There this species lives in quite shallow water. This looks great and another place to possibly add on my SEA trip! I can’t even keep up with how many places I want to go now. That dinner looks amazing and for only $5?! Can’t beat that. Nawww you poor things, I would not want to leave there either. That food looks so good, and as for that sunset, that’s also pretty damn good. It seems to me that you understand why we spent there 2 weeks instead of the 4-5 days planned:) Thanks for your comment! This looks amazing. Malaysia is top of my list of places I want to visit at the moment and this looks gorgeous and makes me want to be there even more so!! I will definitely be back for the next installment!! I agree with you that Malaysia is one of the most amazing countries to visit, so many beautiful natural wonders, the beaches are only one of them! It’s great that you are coming back for the post with the beaches! Between that sunset and that food, I can definitely see how it would be hard to leave. I think if I went to a place like that now, there’s no way anyone would get me out of there before spring. We were actually all booked to go here last March, and then I read how the seas can be rough at the time and we would probably have to get out of the boat over in the water and wade to shore – it all sounded too hard with a baby, a two year old and two suitcases so we unfortunately had to change our plans 🙁 I’m sure we will get here when they are a bit older though! Sharon, you were unlucky with the timing. This part of Malaysia receives storms and the waves are high till the end of February, even March sometimes. In March the waves are already calmed usually, so it was unfortunate for you last year. The best period for visiting is April-May when the weather is already good, and the high season hasn’t started yet! I hope you can get to visit this island next time! Looks like a picture perfect paradise!! The food looks divine and the sunsets must have been spectacular! Thanks Constance for your comment! Well thanks! We have to go here now!! haha! At the end of October it is already the end of tourist season, so you won’t find many people there:) Watch for the weather forecast, as the monsoon already starts those days. A beachside bungalow just sounds so dreamy! Fresh-caught locally sourced fish is just THE BEST! Yes, Roma! It was really perfect place to be! Thanks for the comment! The great thing about these sort of islands is that they are generally more ‘off the beaten path’ and receive less media coverage in terms of the number of visitors and tourists which can potentially harm areas when they become overcrowded. 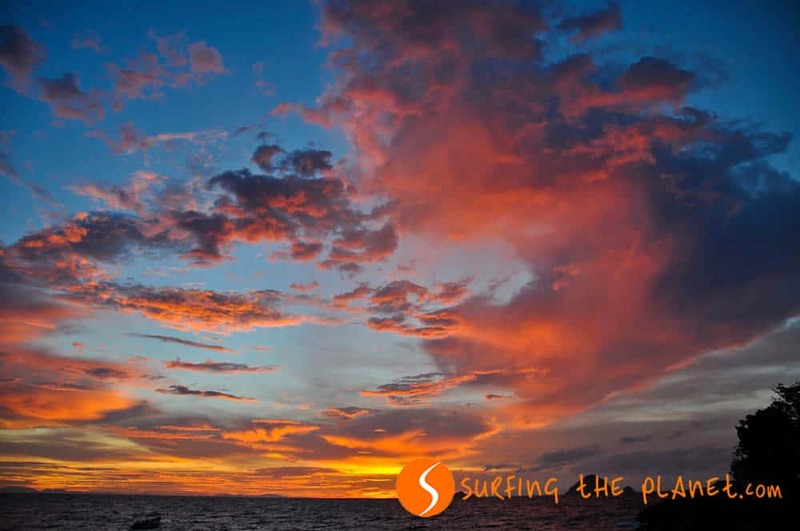 This looks like pure paradise to me, we are considering SE Asia at the end of 2014 and although I don’t think we will be visiting the northern part of Malaysia, this looks like a spot well worth going out of your way to just relax for a while! So nice from you to check in! It is great to share memories with fellow travelers who had similar experiences! Although it was hard to leave this paradise, I wish both you and us can go back there once! Thanks for the comment! On two separate occasions in Malaysia I was informed that it wasn’t the season to go to the Pehrentians so skipped past them and sulked.. I came away from my Great Barrier Reef snorkeling trip a little disappointed and decided to soothe my sorrows by snorkeling of the east coast of Malaysia. I haven’t decided between the Perhentians or Redang, yet, but you make a good case for the Perhentians. I’m a bit of a scaredy-cat, so I’m not sure if I’d be thrilled or terrified to encounter a reef shark. 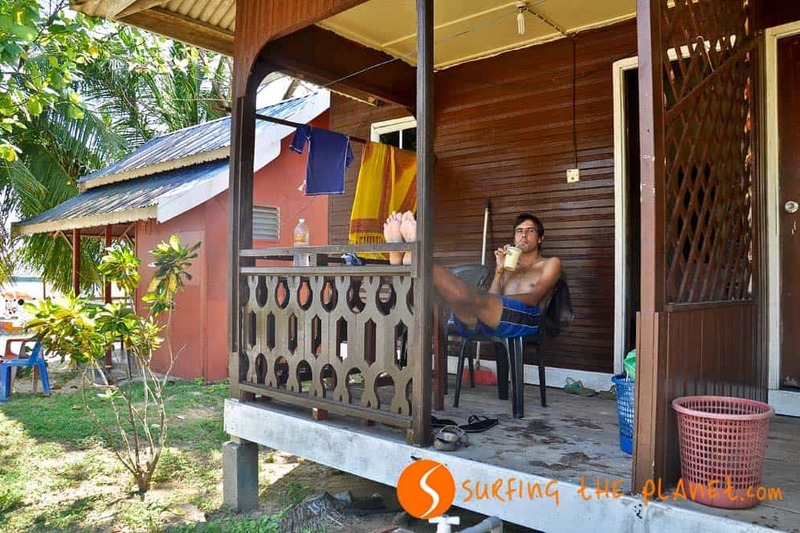 We haven’t been to Redang, as the accommodation options for backpackers are much more scarce than in Perhentian. Everyone says Redang is also amazing, so you can’t really take a bad decision on that! Hi – absolutely loved your blog!!! You’ve inspired me to visit Perhentian Islands in a few weeks 🙂 Just wondering if you have any accommodation recommendations for Perhentian Islands? The place you stayed at looks dreamy being by the water! Hi Justin! I am so happy about your comment! I hope I don’t answer late. We stayed in Fatima’s homestay, one of the first bungalow places when you get off the boat in Coral Bay. The bungalows were quite basic, but it was cheap, the family was nice and it was basically on the beach. I hope you will have a great time there! Wow it does look awesome there! Especially with the snorkelling! That’s jut amazing! Need to put it on my to do list! exploration. Many tourists visit Thailand with one motivating factor. So hurry, check out online bookings now, and experience the best vacations ever. it looks wonderful! I spent most of my time in Malaysia in Borneo, which was amazing, but I didn’t get north of Kuala Lumpur on mainland Malaysia. The good news – this post gave me some inspiration to go back! Yeah, what we missed out on was Borneo, and would love to visit one day for sure! Only place in Malaysia I have been so far is Borneo – will try to get here too! I haven’t been to Borneo yet, it must be fascinating!